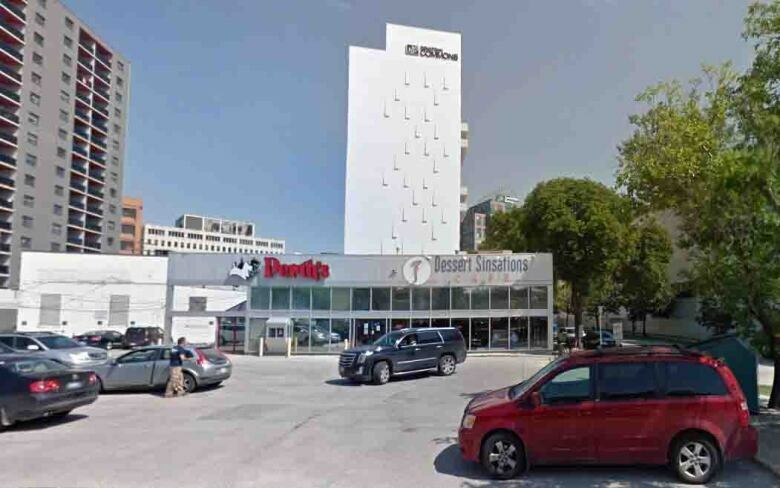 The University of Winnipeg is expanding its housing footprint in downtown with a new 119-suite apartment complex to be built next door to the art gallery and forthcoming Inuit Art Centre. The 14-storey building, called the Arts District, is set for the corner of Colony Street and St. Mary Avenue, a site that last contained a two-storey building with a Dessert Sinsations Cafe and Perth's drycleaners. The plans were unveiled Wednesday morning at the site, immediately south of the U of W's Downtown Commons residence, which opened in 2016 at 320 Colony with 102 apartments. Like that building, the Arts District will feature at least 46 affordable-rent units dedicated to people with lower incomes. Other units — including studio, one, two and three-bedroom suites — will be offered at market rent rates while some will be considered premium units and go for a higher rent. Also like the Downtown Commons, the Arts District suites will look the same regardless of price. "There's no stigma, no one in this building knows who's in an affordable suite, no one knows who's in the market suites," said Jeremy Read, CEO of the U of W Community Renewal Corporation, or UWCRC. "We've had feedback from tenants talking about, 'For the first time my grandchildren are in social housing and they're able to play with other kids and no one knows that we're in social housing.'" The street level of the new building will contain commercial units, according to the UWCRC. Also, several arts and several non-profit service agencies, such as Artspace and Performing Arts Lodges (PAL) Manitoba, are partners in the project, which will also feature several units for use by visiting and local artists, the U of W said. 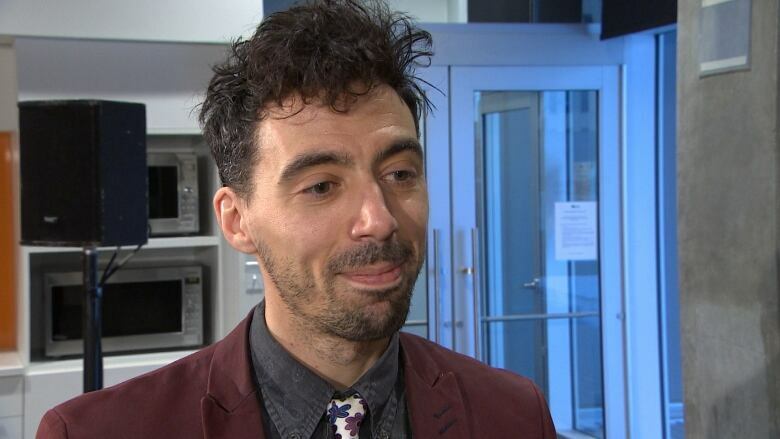 The art spaces will be built with the ventilation needed for visual artists to create their works, and sound abatement so musicians or singers don't disturb the neighbours, said Eric Plamondon, executive director of Artspace. "The other piece that we're also sort of excited about is how you can create that sort of community of artists, so can we get a whole floor of a building so that artists congregate together and sort of feel safe and creative in a familiar space," he said. "You're used to hearing stories of semi-squatting artists but we're going, 'why can't we have new buildings as well?'" John Myers, PAL co-chair, is working with the UWCRC to see if his organization can secure 10 suites in the building for retiring members of the performing arts community who need affordable housing. 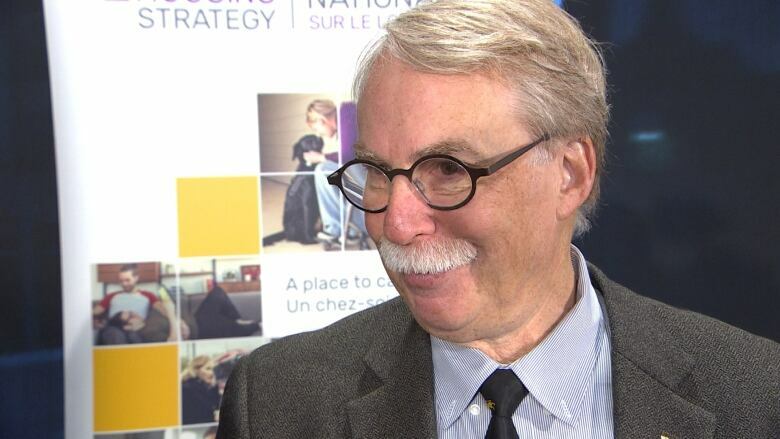 "It is an issue for us because we do have members, over the life of their career, who had to cash in their RRSPs because of lean times because you don't always work when you're in the performing arts," he said. "And they come to the age of retirement and affordable housing becomes quite a big issue for them." The federal government announced Wednesday that it is lending $26 million at a reduced interest rate to the university to get the construction started on Arts District. The money comes from a national housing strategy to support affordable rental housing construction projects across the country. 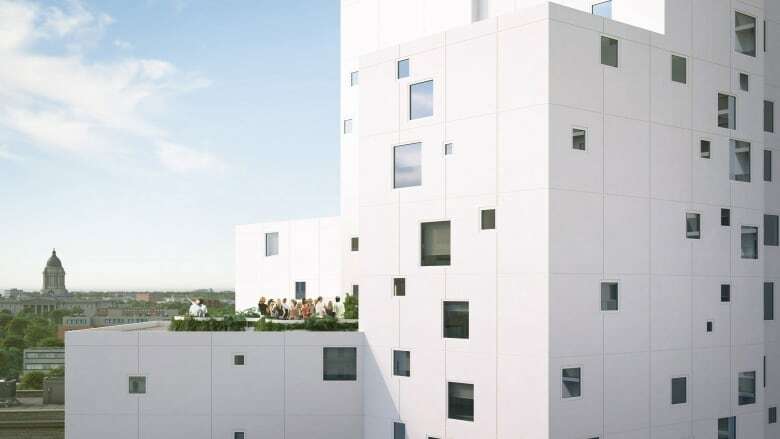 Jean-Yves Duclos, minister of families, children and social development, said the demand for housing has far outstripped the supply in Winnipeg and many other cities. "That has driven up the cost of housing to the point where the very people that make our cities … work find it very difficult to afford living in those cities," he said. 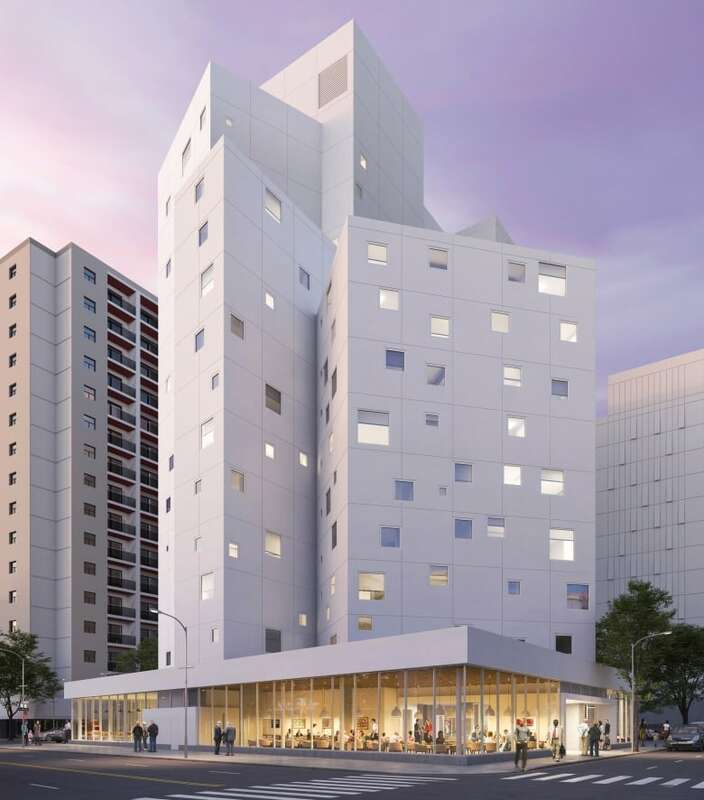 The new residence "will further contribute to university-district revitalization efforts, through providing quality, in-demand rental units in a growing arts precinct at the western edge of Winnipeg's downtown," said Sherman Kreiner, UWCRC managing director. "One of the issues we find in housing is we don't want to have a ghetto, we don't want to have people of the same social class. We want people mixing together," said Robert-Falcon Ouellette, MP for Winnipeg Centre. "This is this is something that we know, that it is more successful when we start having people from different social groups living together." The University of Winnipeg's development arm is paying back a $51.2-million debt to the federal government for both buildings.